Funny, I hear the same sorts of things from my more in-your-face progressive friends. Not about science class, but that their kids’ teachers aren’t anti-racist enough in English and History. I wonder if we should all take this as a win. Public-school teachers–with a few exceptions of course–tend to keep to the middle. 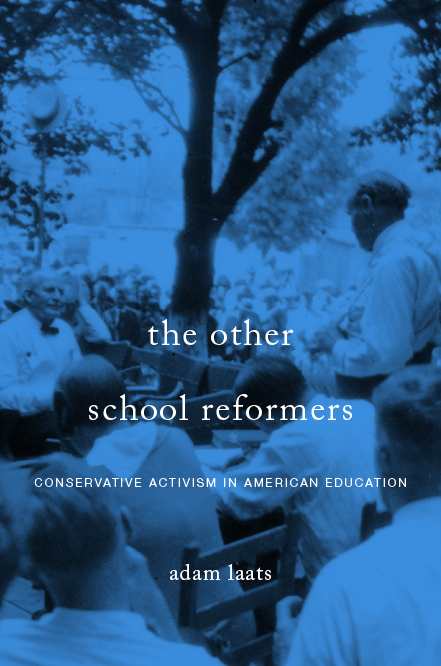 If conservatives and progressives are both dissatisfied that teachers are not adequately endorsing their prog/cons views, maybe teachers are doing the right thing. …? For me, it’s not inadequately endorsing my views that would concern me, it would be endorsing views that are at odds with my values, or trying to sway my kids to their view and away from mine politically. I see no reason to doubt that progressive parents would feel the same about a teacher who tried to influence kids in the direction of the tenets of Trumpism. Absolutely. From my perspective, it seems like (some) conservative parents and pundits assume that this kind of progressive indoctrination is more common than it really is. On the other side, (some) progressive parents and pundits think that it is a better goal than it is. My ILYBYGTH position–and it’s one that I think is pretty widely shared among teachers, but there’s not really a handy way to rally around it–is that teachers should not try to indoctrinate kids, even with the best of intentions. In the case of creationism, for example, I think science teachers need to take a principled hands-off attitude about student beliefs, even if they fret that YEC kids are holding on to a woefully anti-scientific way of thinking about human evolution and deep time. In history classes, I want students to get smarter about all the ideas out there, including their own default presumptions. I will even share my own biases and attitudes. But I never want to force students to agree with one way of thinking. There are some exceptions, such as if a student BELIEVES that s/he is justified in committing violent crimes. I started to say that I think progressives are more determined to influence other people’s kids than conservatives are (a blogger friend likes to say of them that they don’t have their own kids so they want ours); but then I realized that fundamentalists also are very interested in influencing kids, for the sake of saving their souls. And this led me to the thought that maybe progressives think of progressivism as fundamentalists think of fundamentalism: It’s something that people need in order to be saved, and therefore you should push it on them, even if they’re not interested, even if their parents don’t want you to, because it’s for their own good whether they realize it or not. Clearly it’s not fair to say this of all progressives since it’s evidently not true of you. But maybe you can say that it’s true of “fundamentalist” or closed-minded progressives. I agree there are absolutely “fundamentalists” on both sides. As I found in my research for Fundamentalist U, non-pigheaded conservative evangelicals were always able to pull from Scripture to counter conservative fundamentalists at their institutions. For progressive fundamentalists, non-pigheaded progressives are able to pull from the prog tradition of inclusivity and small-d democracy to counter progressive fundamentalists. Doesn’t always work for either side, especially when both sides see things as “us-or-them” high-stakes battle.